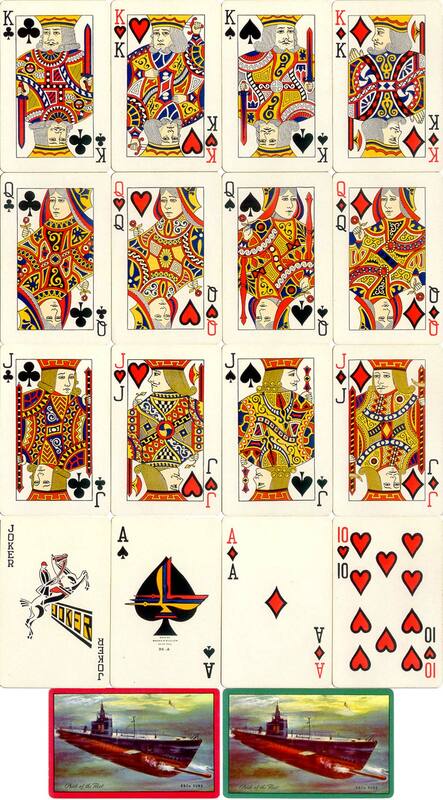 Above: Electric Boat Co., World War II Submarine playing cards specially designed to be played with in "red light" with the Hearts and Diamonds outlined in black, printed by Brown & Bigelow, 1941. 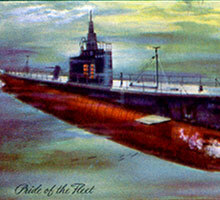 The Ace of Spades is a Brown & Bigelow standard design. The cards come in the original box with a glossy, silver-coloured bottom half and red top half which is covered in what appears to be a velvet-like flock. 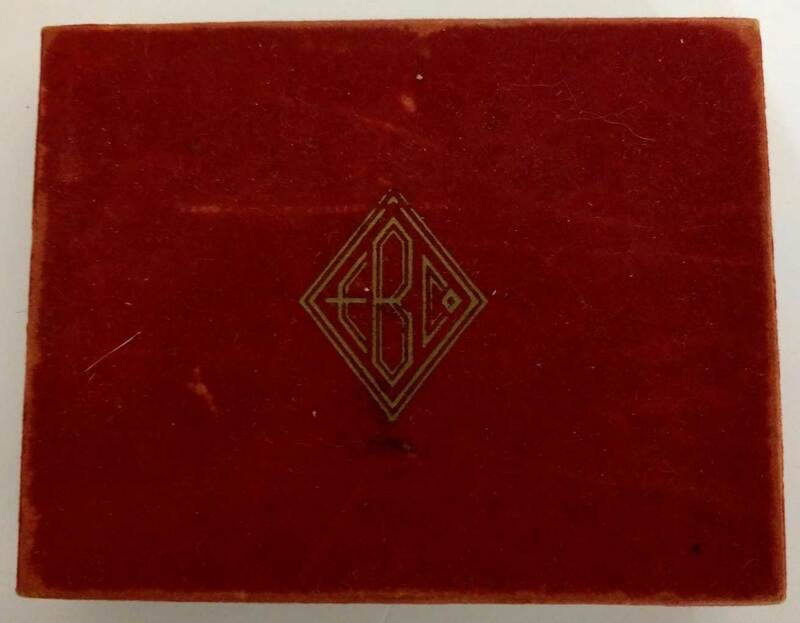 The bottom of the box is stamped ‘Patent Pending Brown & Bigelow, St Paul, Minnesota’. Images from the collections of Barney Townshend and Piers MacLean. • See also: Nutrimientos Purina.